The Washington’s Post’s “The Fix” blog posted charts that show, clear as day, how the Koch brothers’ Americans For Prosperity is absolutely dominating the airwaves in states with competitive U.S. Senate races. No wonder Nate Silver’s predictions are giving Republicans the edge! A companion chart for the most competitive House races tells a very similar story. The Koch brothers’ primary political organization is outspending both the Democratic Senate and House PACs by more than 2-to-1! The Koch Brothers and their allies (Exxon Mobil, Monsanto, and others) spend their money to make America safe for corporate polluters, to let big banks run amok with the financial systems and to protect gains for the 1% at the expense of the rest of us. This kind of spending by billionaire funded organizations on demonstrably negative ads should make it infinitely clear that we need to get the dark money out of our politics. Those negative attack ads are just that. They tell you absolutely zip-point-nothing about the candidate they’re supporting. Instead, they tell half-truths and out-right lies to demean our Democratic candidates to influence how you’ll vote. Do a bit of reading. Research a couple of topics. Learn to spot the lies. Read their platform, because that will tell you exactly what they intend to do once elected. Until we can get that money out, it’s extremely important that you don’t just sit back on your couch and let this election pass by. You need to make sure you understand the issues and what’s at stake. You may not be able to contribute $$$ to any given campaign, but there is one thing you can do. 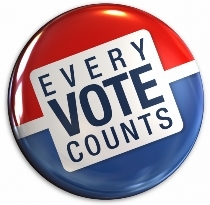 You can get up off your couch, head to the polls and vote, bot for selection of an effective Democratic candidate during the Primary election, and then again for a Democratic candidate for the Nevada House seats. I work those polls each year. I’ll look forward to seeing you show up to cast your ballot. Today, the Nevada Secretary of State’s office announced a landmark settlement with the Alliance for America’s Future (AAF), a Virginia-based 501(c)(4) organization that spent over $200,000 on political ads in 2010 but failed to comply with state disclosure laws. This agreement is the latest success in Secretary of State Ross Miller’s ongoing efforts to clean up Nevada elections and stop the flood of illegal, anonymous campaign spending. Under the agreement, AAF will pay a $40,000 fine – the largest penalty ever imposed for a Nevada campaign finance violation. But just as importantly, AAF will be forced to register as a Committee for Political Action and report their contributions and expenditures. Today’s agreement sends a strong message to the State Government Leadership Foundation, and the donors who fund these dark money groups: it’s time to come out of the shadows, and start complying with the law. You can say what you want, but you can’t hide in our state. Nevadans have a right to know who is trying to influence their elections and what they stand to gain. If dark money groups – and the people who bankroll them – can’t stand the sunlight, they should stay out of Nevada. Candidate filing for non-judicial offices on the 2014 ballot begins at 8 a.m tomorrow, March 3 and closes at 5 p.m. on Friday, March 14. Candidates can still schedule appointments with the Elections Division at 775-684-5705 during regular business hours (8 a.m. to 5 p.m.). Secretary of State Ross Miller released the appointment schedule of individuals who plan to file Declarations of Candidacy for non-judicial offices in the 2014 election. To date, 15 individuals have scheduled appointments with Secretary of State Elections Division filing officers. This week’s newsletter is brought to you by Assemblywoman Ellen Spiegel who will be honored as the Emerge Nevada”Woman of the Year” this coming Saturday, March 8th in Las Vegas. Spiegel is a graduate of the 2007 (first) class of Emerge Nevada and is the first graduate to have been elected to public office. Clark County District Court Judge Nancy Allf will also receive the “Alumna of the Year” award. You don’t want to miss this celebration so get your tickets while you still can. Tickets are available online here. Thank you Assemblywoman Spiegel for your generous support of TBN and all you do for Nevada! Assembly Speaker pro Tempore Paul Aizley and Assemblyman Dr. Andy Eisen were among the elected who participated at their caucus location in Southern Nevada last week, bringing the number of Democratic officials elected to state offices present at caucus to nearly 50! The Latin Chamber of Commerce and several Democratic members of the state Assembly and Senate endorsed Rep. Dina Titus for a second term over Republican challenger Jose Padilla. Endorsements came from Otto Merida, President of the Latin Chamber of Commerce, State Senate Majority Leader Mo Denis, Senator Ruben Kihuen, and Assembly members Lucy Flores and Irene Bustamante Adams. Other Latino leaders include Eloiza Martinez, Luis Valera, Tony Sanchez and Nora Luna. Congratulations to State Treasurer Kate Marshall, who received the endorsement of EMILY’s List last Thursday. In announcing their endorsement, EMILY’s List President, Stephanie Schriock, stated about my candidacy, “Kate’s record as State Treasurer over the past seven years shows a commitment to empowering women and families through economic development, and EMILY’s List… is proud to help her become Nevada’s next Secretary of State.” Donate to Kate’s campaign here. It was a packed house at the North Las Vegas campus of College of Southern Nevada yesterday when Assemblywoman Lucy Flores announced her candidacy for Lt. Governor. To get involved in Lucy’s campaign, visit her website at www.lucyflores.com. March 8th is National Women’s Lobby Day. This is the day to check your congressional representative’s voting record on women’s issues and let him or her know how you feel about that. Click here for more information. Applications Now Being Accepted for the Nevada Youth Legislature. This is a great opportunity for teenagers to learn about our government by actually participating in it. Applicants must be 9th to 11th grade students during the first school year in which they will serve on the Nevada Youth Legislature. The deadline to apply is April 12th. For more information, click here or download an application. Nominations for the Nevada Senior Citizen of the Year for 2013 will be accepted through March 31, 2014. The Nevada Delegation of the National Silver Haired Congress (NSHC) in partnership with the Aging Services Directors Organization (ASDO) established this award last year. Anyone knowing a Senior Citizen who has made significant contributions at the local, state, and/or national level may nominate that person. Click here for nomination forms and additional information. Students in grades six through 12 are invited to enter the Home Means Nevada Sesquicentennial Essay Contest, sponsored by the Nevada Department of Education, Nevada in the West Magazine, Nevada History Foundation and the Nevada 150 Commission. All entries must be submitted to the Nevada Department of Education by March 24, 2014. Click here for more information. A new Pew Survey done last month shows that just 28% of Republicans and Republican leaners said the GOP was doing a good or excellent job in standing up for its traditional positions of smaller government, tax-cutting and conservative social values, while seven-in-ten (70%) rated their party’s job as “only fair” or “poor.” Read the entire report here. Keep up-to-date on all things BLUE at the Blue Nevadan. Better yet, get you own copy of the newsletter by subscribing to Blue Nevadan Newsletter. Voting is one of the critical ways for citizens to voice their opinions and desires to leaders and express their will for the direction of the country. But while voting is the crucial bedrock of a healthy democracy, citizens’ access to voting varies considerably within the states where elections are the most hotly contested. With election administration delegated to officials and boards in more than 3,000 counties and localities in the United States, the ease with which one exercises his or her right to vote can depend on where he or she lives. Not only do state voting laws differ across the nation, even within a state, county-based election administration varies widely. This report evaluates the election performance of counties in the 17 states that had the smallest margin of victory between the two presidential candidates in 2012. This analysis allows us to better understand how well the election process is working within a state, and will hopefully encourage state and local officials to consider how they can improve the voting experience for their citizens.